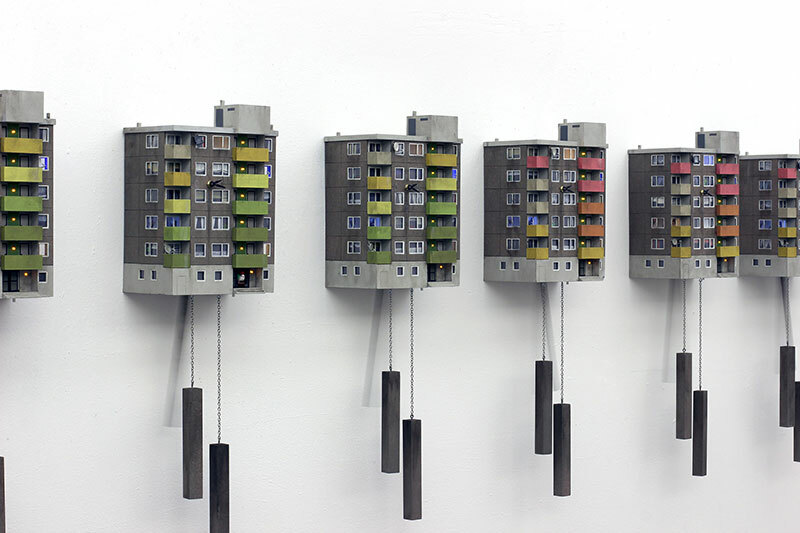 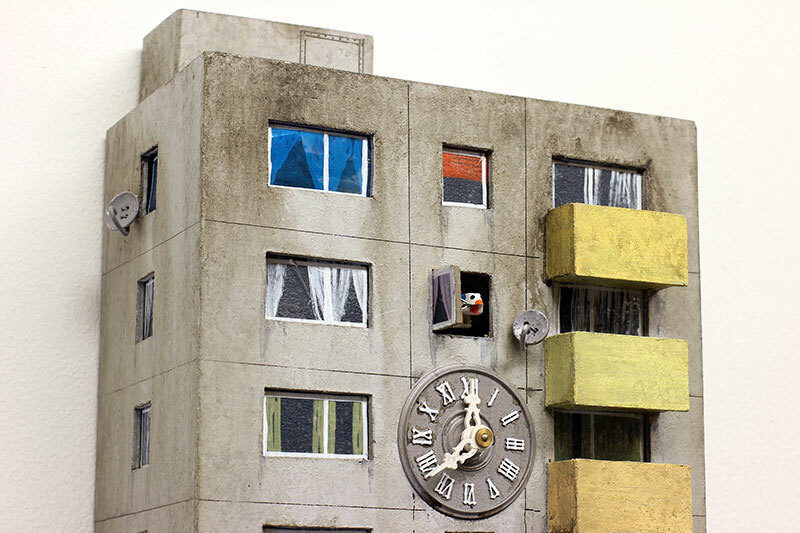 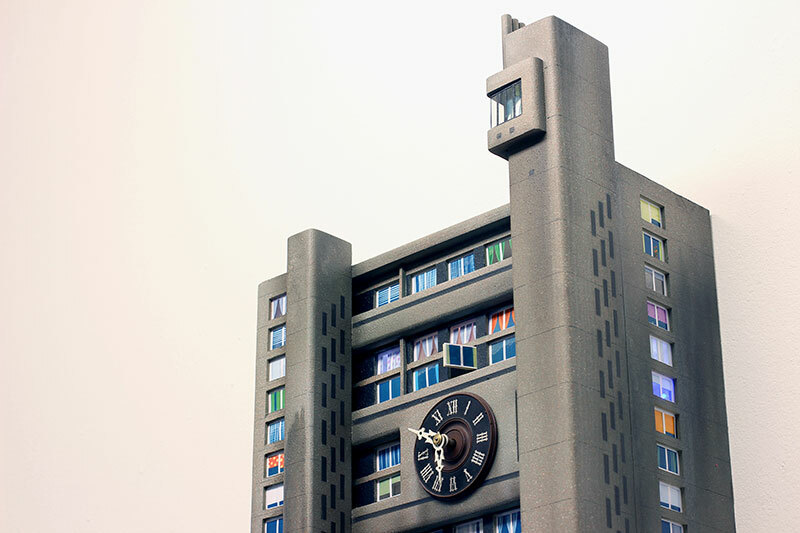 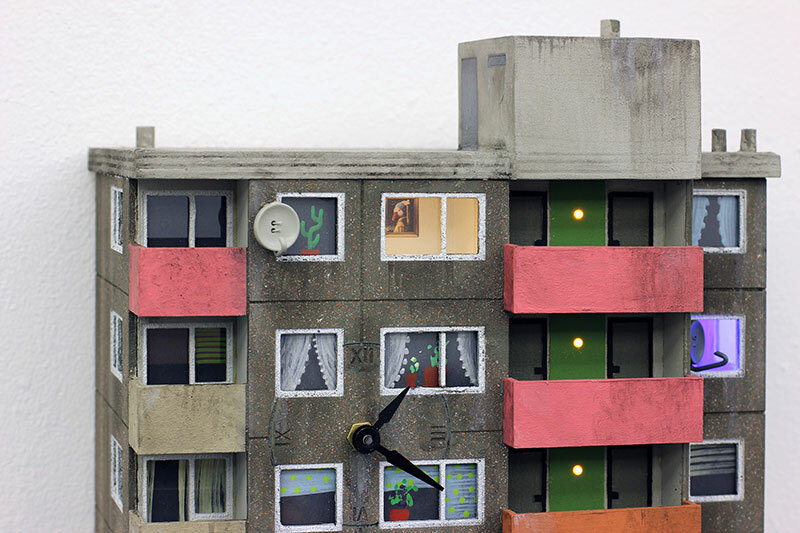 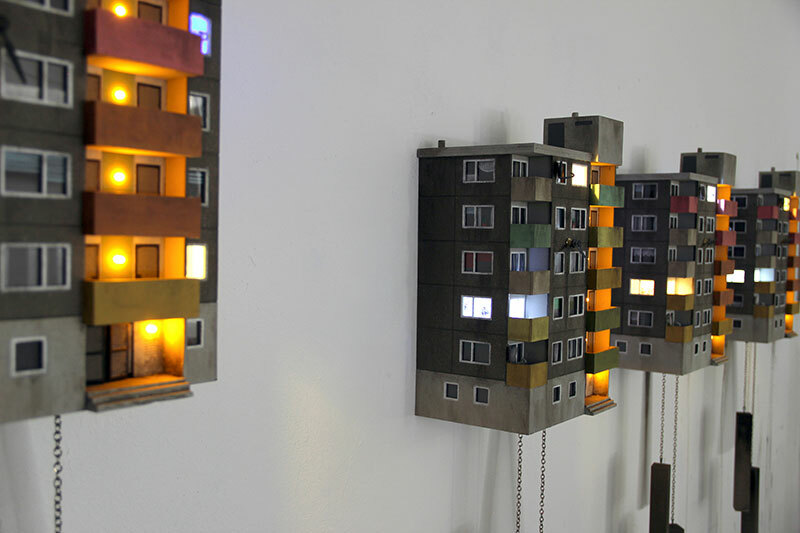 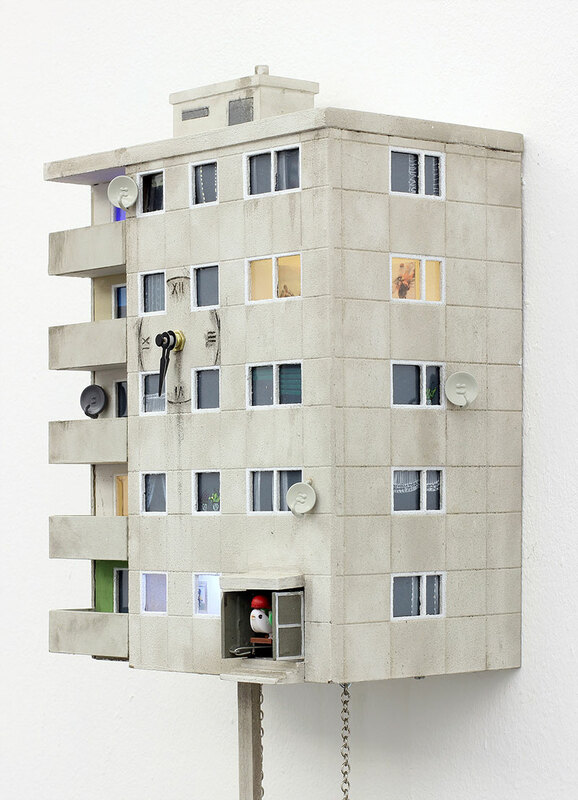 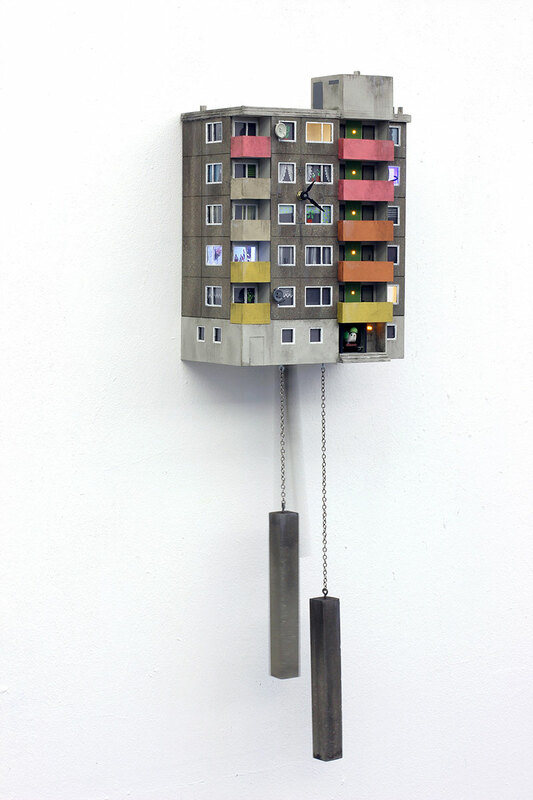 A modern interpretation of the cuckoo clock by German artist Guido Zimmermann that takes its cues from urban living and compelling architecture. 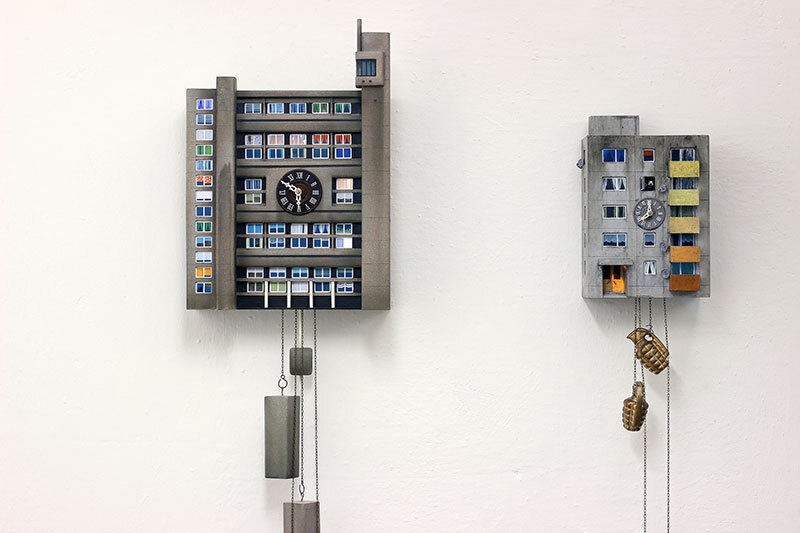 "The hull is new, but the soul, a clockwork with a cuckoo, is still an old one," the artist states while addressing two significant aspects: buildings with a striking history and architectural value, and the social living issues around the blocky, concrete structures. 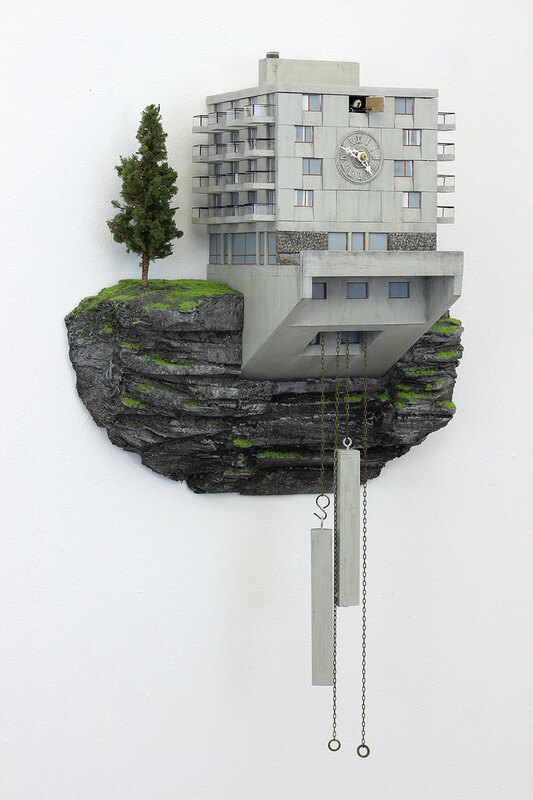 The project was inspired by the Brutalist style of the Glenkerry House by architect Erno Goldfinger, once an accommodation for average citizens but now hardly affordable, and the Bauhaus style of the Flaine Hotel by Marcel Breuer, a huge hotel complex located in the middle of the French Alps that is considered an eyesore. 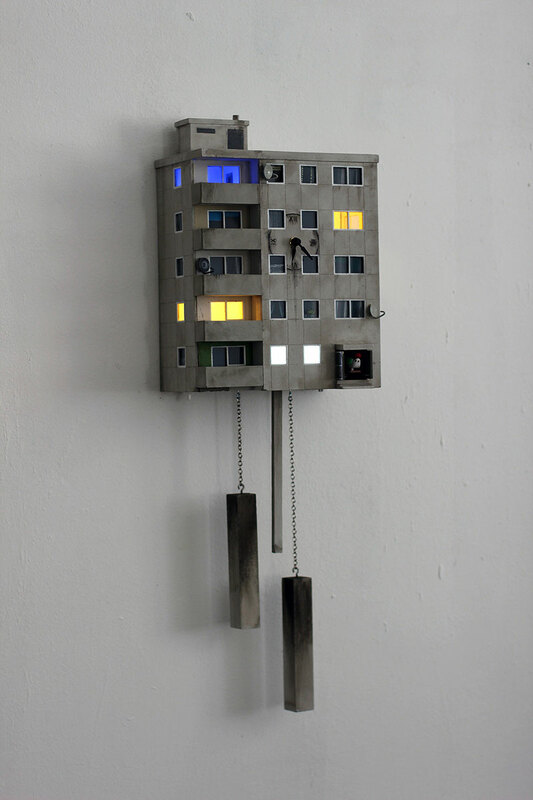 A modern interpretation of the cuckoo clock by German artist Guido Zimmermann that takes its cues from urban living and compelling architecture.